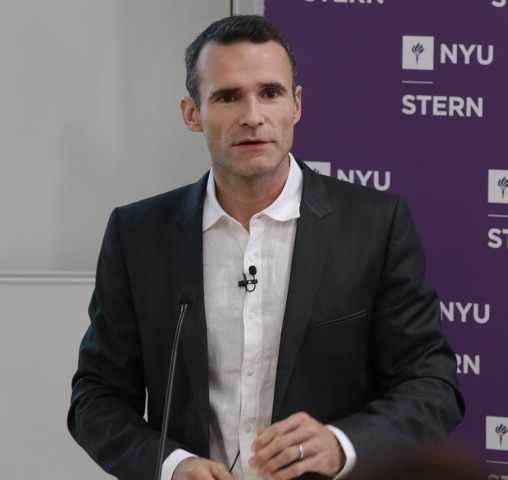 Thomas Philippon is Professor of Finance at New York University - Stern School of Business. Philippon was named one of the “top 25 economists under 45” by the IMF in 2014, he won the 2013 Bernácer Prize for Best European Economist under 40, the 2010 Michael Brennan & BlackRock Award, the 2009 Prize for Best Young French Economist, and the 2008 Brattle Prize for the best paper in Corporate Finance. He was elected Global Economic Fellow in 2009 by the Kiel Institute for the World Economy. He has studied various topics in finance and macroeconomics: financial distress, systemic risk, government interventions during financial crises, asset markets and corporate investment. Recently his work has focused on the evolution of the financial system and on the Eurozone crisis. He currently serves on the Monetary Policy Advisory Panel of the NY Federal Reserve Bank, and as a board member and director of the scientific committee of the french prudential regulator (ACPR). He was the senior economic advisor to the french finance minister in 2012-2013. Philippon graduated from Ecole Polytechnique, received a PhD in Economics from MIT, and joined New York University in 2003.